Colonists take to the stars to discover new planets, new sentient beings, and build new lives for themselves and their families. Some travel years to find their destination, while others travel a year or less. Some discover a planet that just might be paradise, while others find nothing but unwelcoming aliens and terrain. It's not just a struggle for territory but a struggle for understanding as cultures clash, disasters occur, danger lurks and lives are at risk. 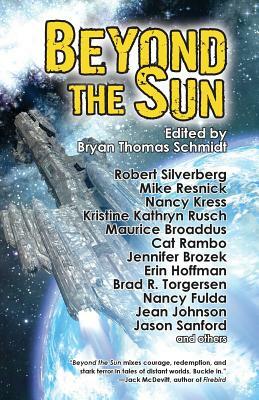 Eighteen stories of space colonists by both leading and up and coming science fiction writers of today. Mike Resnick spins a tale of aliens who find Earth future diverse and surprising as they plan an invasion. Grandmaster Robert Silverberg examines what happens when Jews tired of fighting for their homeland start over on a planet then must deal with a dybbuk (spirit) and aliens who wish to convert to Judaism. Autumn Rachel Dryden has colonists threatened by alien animals which burst out of shells on the ground like piranhas ready to feed on flesh. Jason Sanford has Amish colonists on New Amsterdam finding their settlement and way of life threatened by a comet and the English settlers who want to evacuate them. And a new story from Hugo and Nebula-winner Nancy Kress.